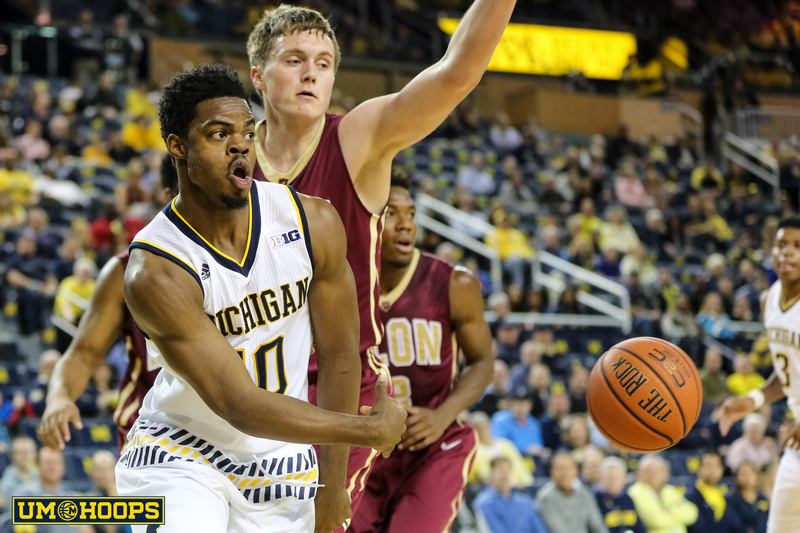 Michigan point guard Derrick Walton is on the mend. The 6-foot-1 junior point guard has been practicing pain free and would have been able to play in an emergency on Saturday. According to Michigan head coach John Beilein, he’s available to play Tuesday against Northern Kentucky although he may not start. Michigan point guard Derrick Walton is on the mend. The 6-foot-1 junior point guard has been practicing pain free and would have been able to play in an emergency on Saturday. According to Michigan head coach John Beilein, he’s available to play Tuesday against Northern Kentucky although he may not start. “We had him warm up (Saturday) … in an emergency we probably would have used him,” Beilein said. “Things are looking more promising than they were last week. Walton injured his ankle on December 1st at North Carolina State and has sat out Michigan’s previous three games with the injury. He was plagued by foot injures last season that originated with a turf-toe injury in November and his health is critical to the Wolverines after news that Spike Albrecht will miss the remainder of the season due to rehab on his bilateral hip surgery. Walton is shooting 70% from three-point range this season –best in the nation among qualified players according to Ken Pomeroy — and leads the Wolverines with a 26% assist rate. Michigan redshirt freshman DJ Wilson also missed Saturday’s game against Delaware State with an ankle injury. He’s out of his protective walking boot, but is not expected to play on Tuesday according to Beilein.